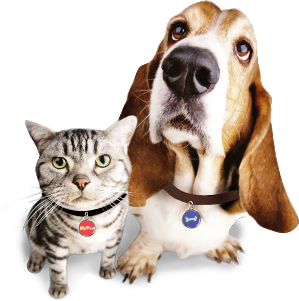 It is so important to have a tag on your pet with a phone number and address. Just having the council tag or a micro chip is not enough. If your dog or cat is found on a Sunday and most vets and the city council is closed the people will not be able to contact you and get your pet back to you. It is such an easy thing to do, but people still dont do it. I cant tell you how many time we have had dogs walk into our retail store or people have found them in the area and they have no tag on them. It is very frustrating and just having the tag can save you your dog or cat. Yesterday one of my neighbors dogs got out 3 times, yes 3 times in that day and did not have a tag on, luckily we recognized the dog and could take it back, but if it went any further up the street who knows where it would be now. So if you do not have a tag with the information on your pet please get one asap from your vet or local pet store. Like Petsofoz.com on Facebook in March and Win!